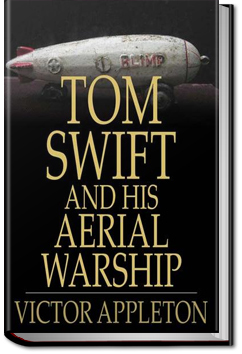 Tom Swift is an inventor, and these are his adventures. The locale is the little town of Shopton in upstate New York, near Lake Carlopa. While some of Tom’s inventions are not well-founded in a scientific sense, others elaborated developments in the news and in popular magazines aimed at young science and invention enthusiasts. Presenting themselves as a forecast of future possibilities, they now and then hit close to the mark. Some predicted inventions that came true include “photo telephones”, vertical takeoff aircraft, aerial warships, giant cannons, and “wizard” cameras. However some other devices, such as magnetic silencers for motors, have not appeared yet. This entry was posted in Action/Adventure Books on May 9, 2016 by allyoucanbooks.